Eden Hazard agreed terms to sign for Chelsea in June 2012 from Lille in France, where he had played since 2005, and became the fourth Belgian to join the club following the arrivals of Thibaut Courtois, Romelu Lukaku and Kevin De Bruyne. 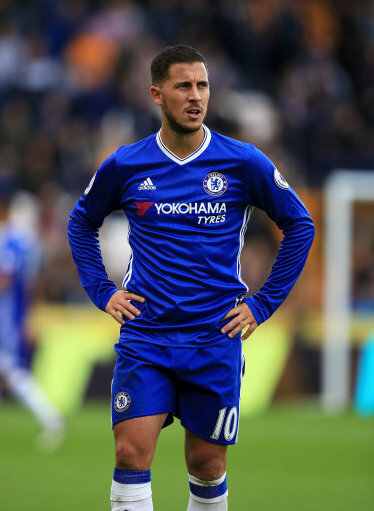 After impressing on his debut, which also included a goal, against Seattle Sounders, Eden continued to catch the eye throughout pre-season, and it was little surprise to see him start the Community Shield match against Manchester City at Villa Park. A week later he made his Premier League debut, creating two goals in the first six minutes of a scintillating display against Wigan Athletic, first releasing Branislav Ivanovic with a defence-splitting pass, and then drawing a foul from Ivan Ramis to win a penalty. He followed that up in our next game - a 4-2 win at home to Reading - by winning a penalty which Frank Lampard converted to break the deadlock, as well as laying on the fourth for Branislav Ivanovic. He scored his first Chelsea goal three days later from the penalty spot in a 2-0 win against Newcastle United, while his first strike from open play came in the 4-1 win against Norwich City, when he finished off a quick counter-attack by scoring from Juan Mata's pass.